This is a thank you ppt powerpoint presentation portfolio skills. This is a one stage process. The stages in this process are address, contact numbers, email address. Our Thank You Ppt PowerPoint Presentation Portfolio Skills ensure common ground continues to grow. It helps keep the dialogue going. 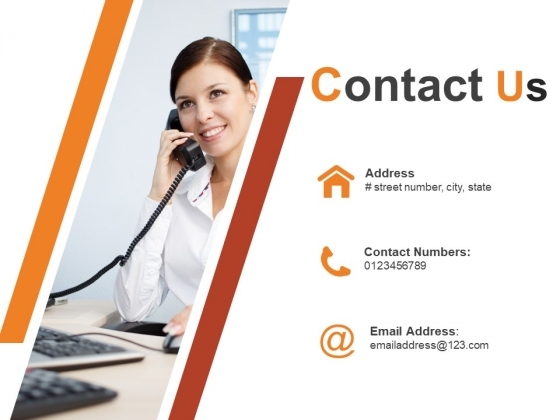 This is a contact us ppt powerpoint presentation icon deck. This is a three stage process. The stages in this process are address, email address, contact number. Come across as loyal with our Contact Us Ppt Powerpoint Presentation Icon Deck. Display firm allegiance to the cause. This is a contact us ppt powerpoint presentation summary inspiration. This is a three stage process. The stages in this process are address, contact number, email address. You have completed an epic journey. Run through the hotspots with our Contact Us Ppt Powerpoint Presentation Summary Inspiration. This is a thank you ppt powerpoint presentation file gallery. This is a one stage process. The stages in this process are address, contact numbers, email address. Your thoughts will be engraved in the minds of your audience. Our Thank You Ppt PowerPoint Presentation File Gallery will etch them in. This is a thanks for watching ppt powerpoint presentation portfolio background. This is a three stage process. The stages in this process are address, contact numbers, email address. Evoke surprise in your audience with our Thanks For Watching Ppt PowerPoint Presentation Portfolio Background. See them realise how clever your plan is. 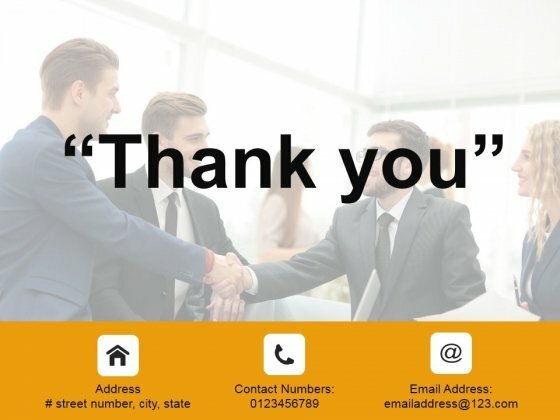 This is a thank you ppt powerpoint presentation layouts styles. This is a one stage process. The stages in this process are address, contact numbers, email address. 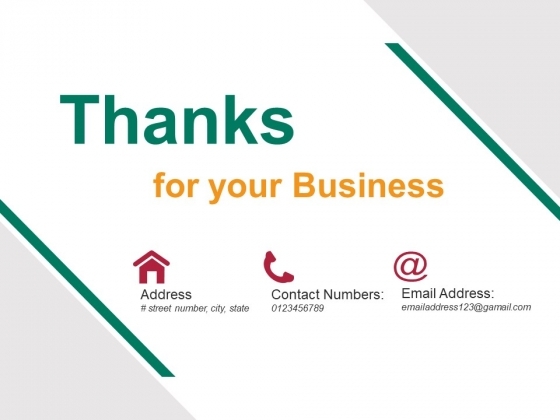 Our Thank You Ppt PowerPoint Presentation Layouts Styles will corroborate your thoughts. Add to the authenticity of your ideas. This is a thank you ppt powerpoint presentation file demonstration. This is a one stage process. The stages in this process are thank you, address, contact numbers, email address. 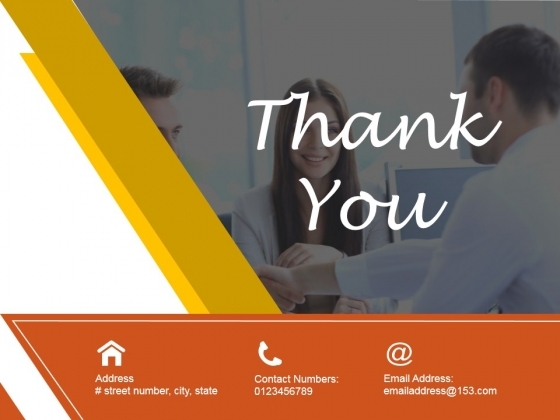 Set your eyes on our Thank You Ppt PowerPoint Presentation File Demonstration. You will find it difficult to look away. 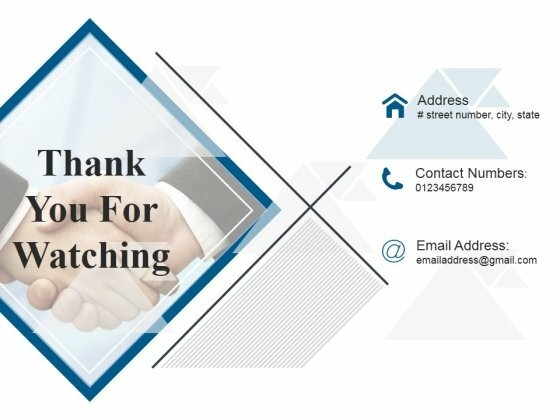 This is a thank you for watching ppt powerpoint presentation portfolio brochure. This is a one stage process. The stages in this process are address, contact numbers, email address. 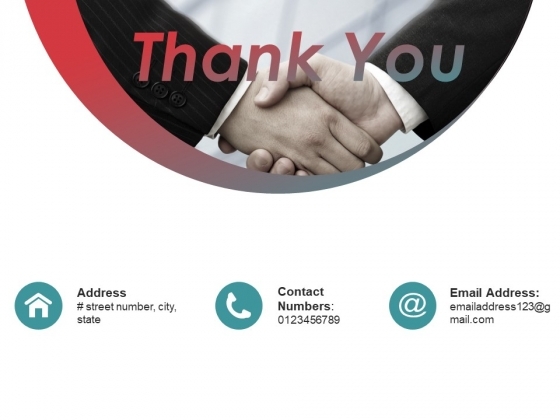 Create believers with our Thank You For Watching Ppt PowerPoint Presentation Portfolio Brochure. Boost up their assessment of you. 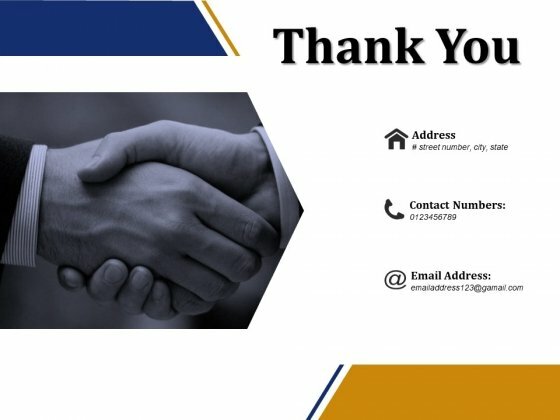 This is a thank you ppt powerpoint presentation layouts slide portrait. This is a one stage process. The stages in this process are address, contact numbers, email address, thank you. 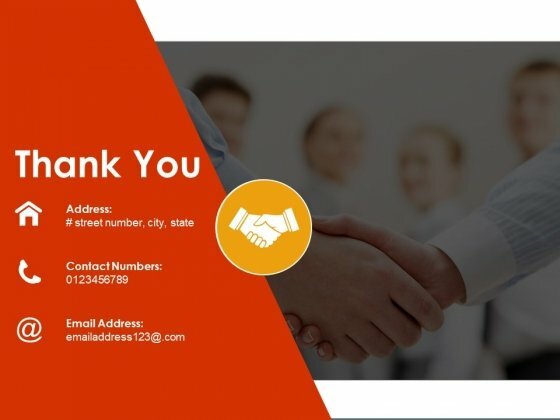 Go get 'em with our Thank You Ppt PowerPoint Presentation Layouts Slide Portrait.Be sure there will be no false bravado. 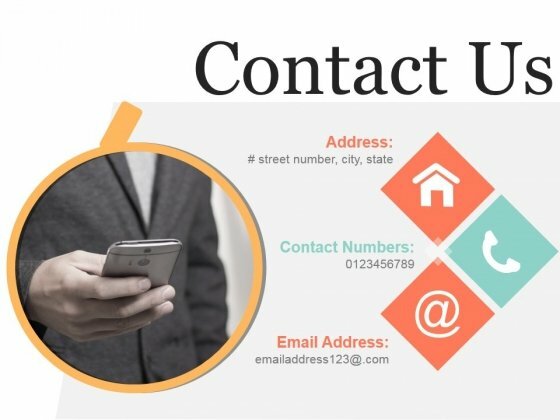 This is a contact us ppt powerpoint presentation file slides. This is a three stage process. The stages in this process are address, contact numbers, email address. Be a peacemaker with our Contact Us Ppt PowerPoint Presentation File Slides. You will come out on top. 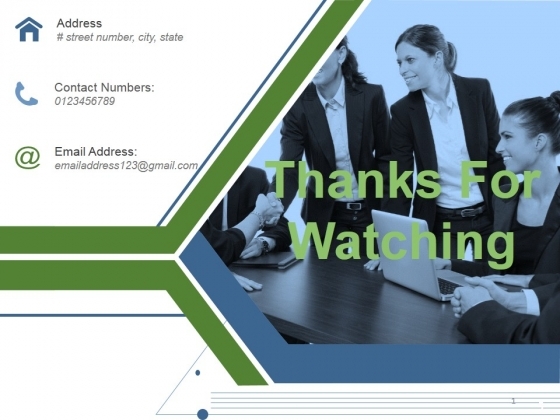 This is a thank you ppt powerpoint presentation infographic template topics. This is a three stage process. The stages in this process are address, contact numbers, email address, thank you. Enlist teams with our Thank You Ppt PowerPoint Presentation Infographic Template Topics. Download without worries with our money back guaranteee. 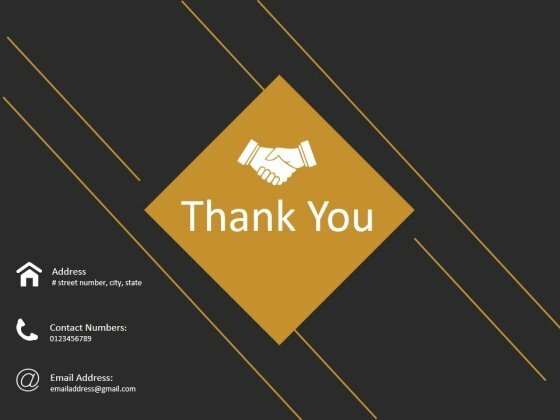 This is a thank you ppt powerpoint presentation model gridlines. This is a one stage process. The stages in this process are address, contact numbers, email address, thank you. 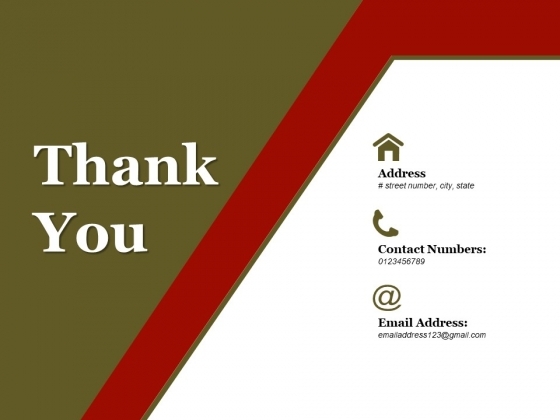 Advise folks to be on the alert with our Thank You Ppt PowerPoint Presentation Model Gridlines. Caution them to be careful about lowering their guard. 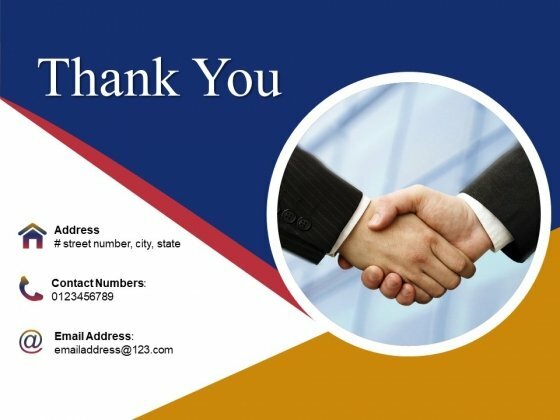 This is a thank you ppt powerpoint presentation outline graphics design. This is a one stage process. The stages in this process are email address, address, contact numbers, thank you. 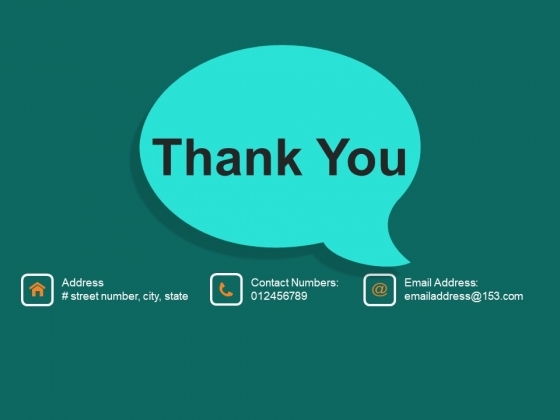 Build a group of ardent fans with our Thank You Ppt PowerPoint Presentation Outline Graphics Design. It helps create a loyal following. This is a thank you ppt powerpoint presentation summary outline. This is a one stage process. The stages in this process are address, contact numbers, email address, thank you. Glorify the loyal with our Thank You Ppt PowerPoint Presentation Summary Outline. Hail deeds of devotion to the country. This is a thank you ppt powerpoint presentation outline slides. This is a one stage process. The stages in this process are thank you, address, contact numbers, email address. At times people can be very fallible. 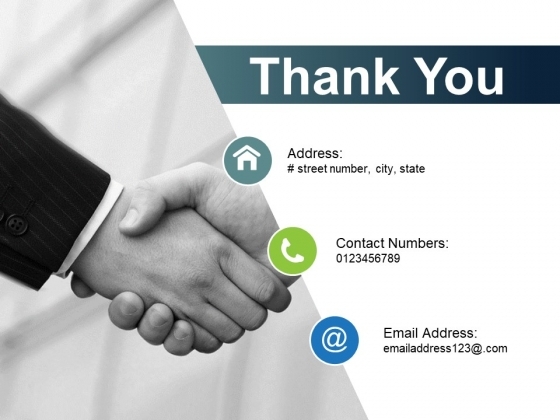 Give factual advice with our Thank You Ppt PowerPoint Presentation Outline Slides. 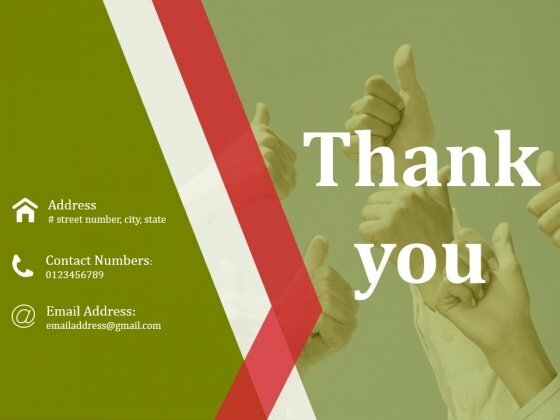 This is a thank you ppt powerpoint presentation pictures smartart. This is a one stage process. The stages in this process are thank you, address, contact numbers, email address. Awards will be the feathers in your cap. Accumulate accolades with our thank you ppt powerpoint presentation pictures smartart. 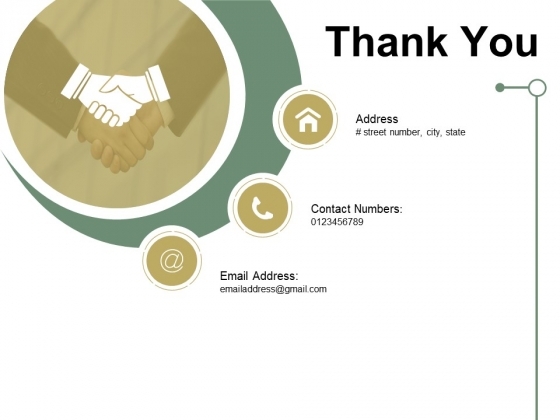 This is a thank you ppt powerpoint presentation infographic template mockup. This is a one stage process. The stages in this process are address, contact numbers, email address, thank you. 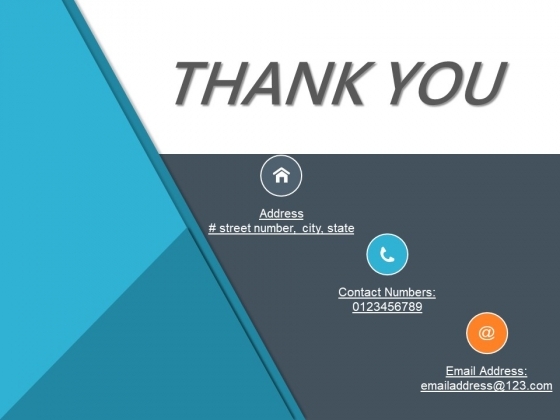 Our Thank You Ppt PowerPoint Presentation Infographic Template Mockup are crafted to embody excellence. Bring your brilliance to the forefront. 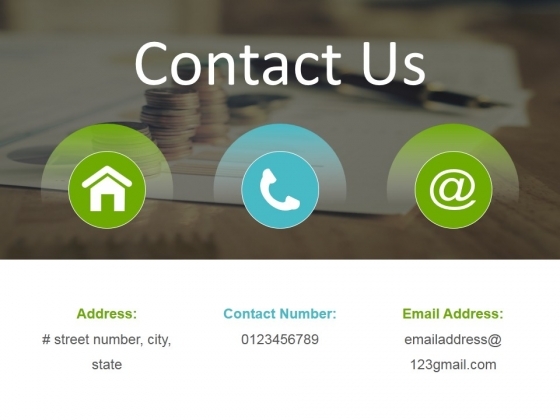 This is a contact us ppt powerpoint presentation ideas skills. This is a one stage process. The stages in this process are address, contact numbers, email address, contact us. Back up your boast with our Contact Us Ppt PowerPoint Presentation Ideas Skills. Demonstrate to your audience that you can. 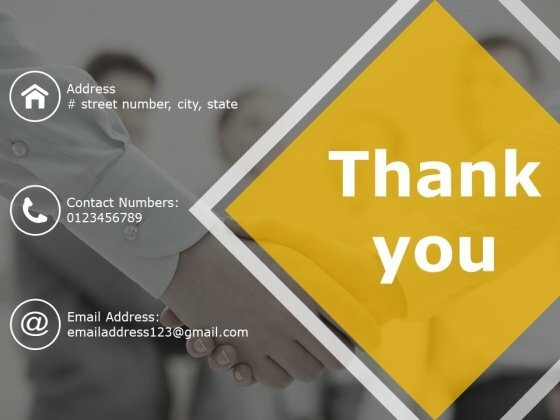 This is a thank you ppt powerpoint presentation ideas portfolio. This is a one stage process. The stages in this process are address, contact numbers, email address, thank you. 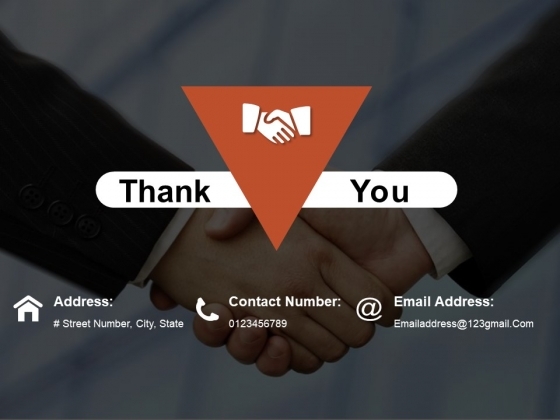 Capture success with our Thank You Ppt PowerPoint Presentation Ideas Portfolio. Download without worries with our money back guaranteee. 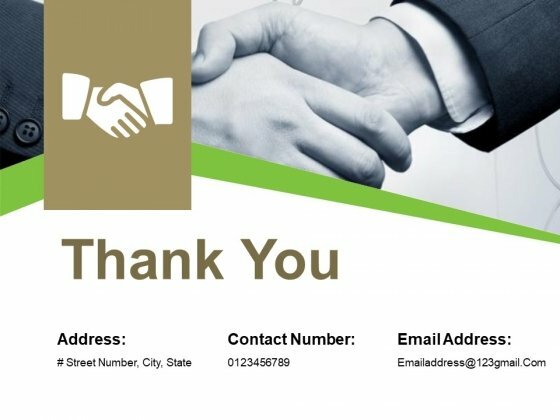 This is a thank you ppt powerpoint presentation file styles. This is a one stage process. The stages in this process are address, contact numbers, email address, thank you. 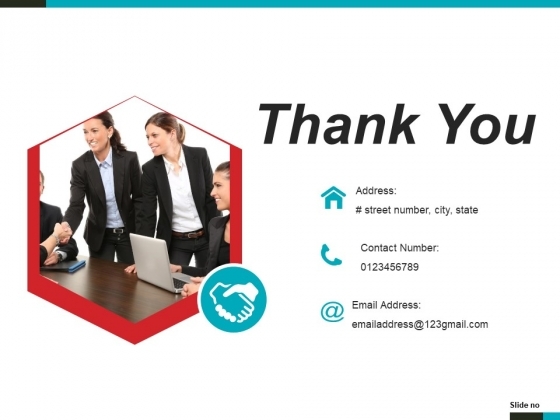 Hire teams with our Thank You Ppt PowerPoint Presentation File Styles. Download without worries with our money back guaranteee. 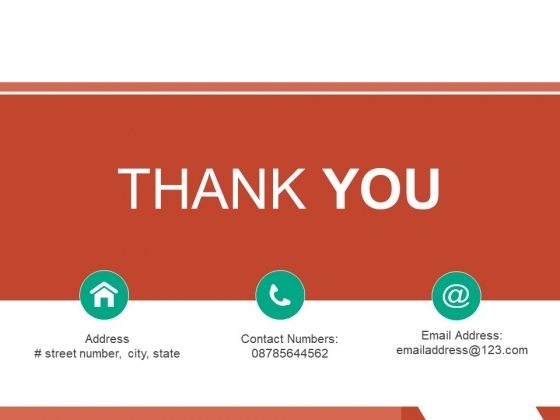 This is a thank you ppt powerpoint presentation infographic template deck. This is a one stage process. The stages in this process are thank you, address, contact numbers, email address. Revise your plans with our Thank You Ppt PowerPoint Presentation Infographic Template Deck. Download without worries with our money back guaranteee. This is a thank you ppt powerpoint presentation file guidelines. This is a one stage process. The stages in this process are thank you, address, contact numbers, email address. 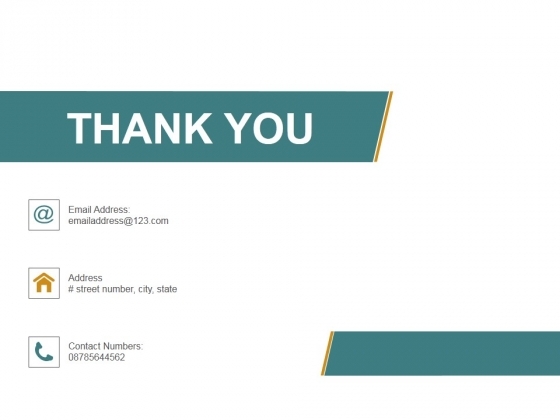 Synthesize presentations with our Thank You Ppt PowerPoint Presentation File Guidelines. Download without worries with our money back guaranteee. This is a thank you ppt powerpoint presentation pictures background. This is a one stage process. The stages in this process are thank you, address, contact numbers, email address. Dont make crammed slides. 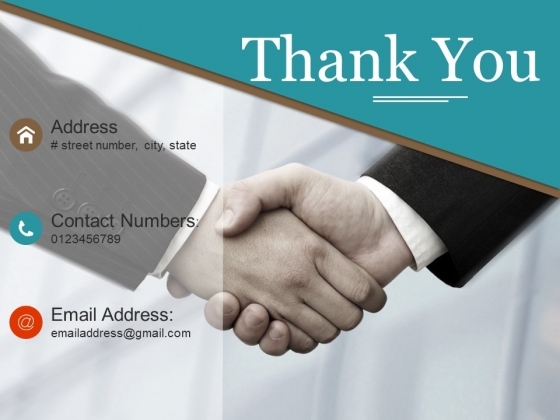 Utilize space appropriately with our Thank You Ppt PowerPoint Presentation Pictures Background. Dont pass up this opportunity to shine. 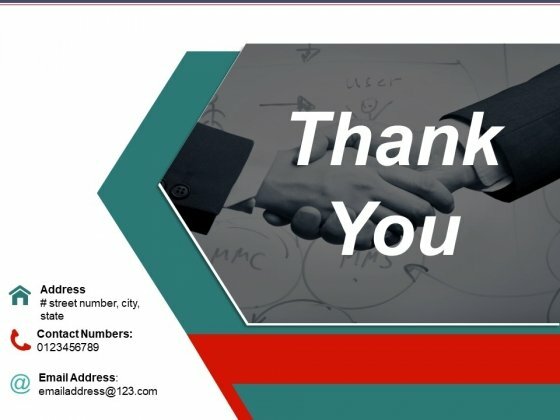 This is a thank you ppt powerpoint presentation summary samples. This is a one stage process. The stages in this process are thank you, address, contact numbers, email address. 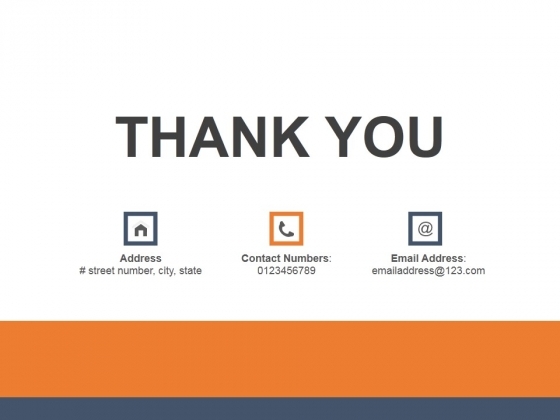 Embrace changes with our Thank You Ppt PowerPoint Presentation Summary Samples. Develop the correct attitude for it. This is a thank you ppt powerpoint presentation model visual aids. This is a one stage process. The stages in this process are thank you, address, contact numbers, email address. Address the lowbrow with our Thank You Ppt PowerPoint Presentation Model Visual Aids. Develop their interest in intellectual activity. This is a thank ppt powerpoint presentation portfolio background images. This is a one stage process. The stages in this process are thank you, address, contact number, email address. Folks feel it is good to be devoted due to our Thank Ppt PowerPoint Presentation Portfolio Background Images. They like to display their loyalty. This is a thanks ppt powerpoint presentation outline deck. This is a one stage process. The stages in this process are address, contact numbers, email address, thank you. Our Thanks Ppt PowerPoint Presentation Outline Deck ensure folks feel loyal. They begin to be devoted to the cause. This is a thank you ppt powerpoint presentation rules. This is a one stage process. The stages in this process are thank you, address, contact numbers, email address. The loyal display deep devotion to the country due to our Thank You Ppt PowerPoint Presentation Rules. They feel driven to do good for it. 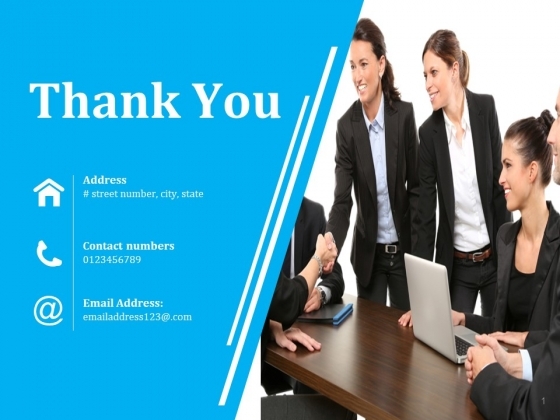 This is a thank you ppt powerpoint presentation gallery infographics. This is a one stage process. The stages in this process are thank you, address, contact numbers, email address. 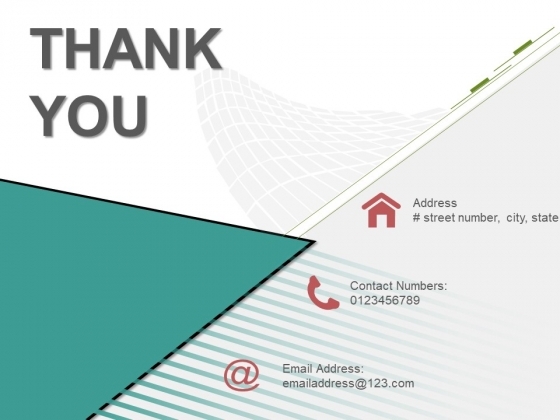 The colour contrasts of our Thank You Ppt PowerPoint Presentation Gallery Infographics are aesthetically designed. They put the focus on key factors. This is a thank you ppt powerpoint presentation inspiration microsoft. This is a one stage process. The stages in this process are thank you, address, contact numbers, email address. People will cite you as an example. Capture their attention with our Thank You Ppt PowerPoint Presentation Inspiration Microsoft. This is a thank you ppt powerpoint presentation summary demonstration. This is a one stage process. The stages in this process are thank you, address, contact number, email address. The look of our Thank You Ppt PowerPoint Presentation Summary Demonstration is no meer facade. There is depth and dimension to their appearance. 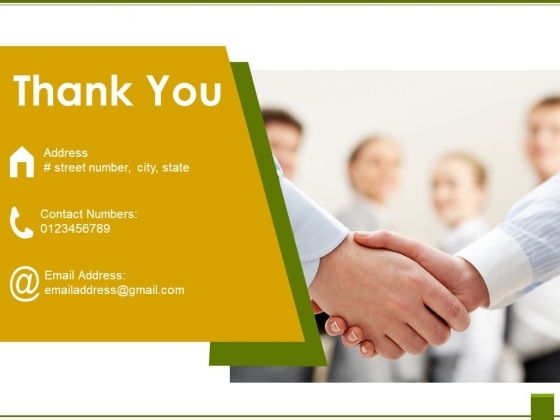 This is a thank you ppt powerpoint presentation gallery slide portrait. This is a one stage process. The stages in this process are thank you, address, contact numbers, email address. 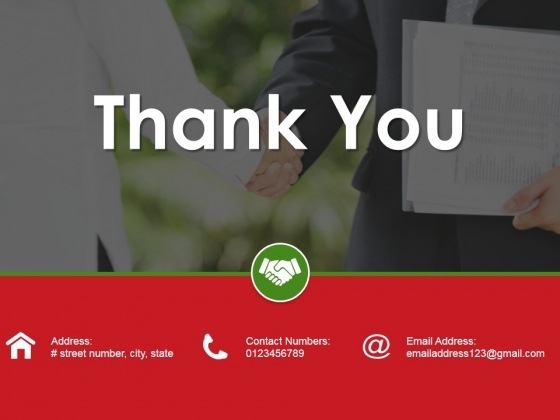 Convince the doubters with our Thank You Ppt PowerPoint Presentation Gallery Slide Portrait. Bolster their faith to achieve. This is a thank you ppt powerpoint presentation slides diagrams. This is a one stage process. The stages in this process are thank you, address, contact numbers, email address. Your thought process will never falter. Our Thank You Ppt PowerPoint Presentation Slides Diagrams will steer them along correctly. 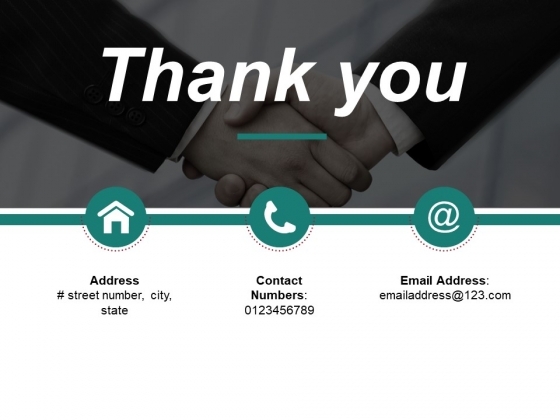 This is a thank you ppt powerpoint presentation infographic template templates. This is a one stage process. The stages in this process are thank you, address, contact numbers, email address. 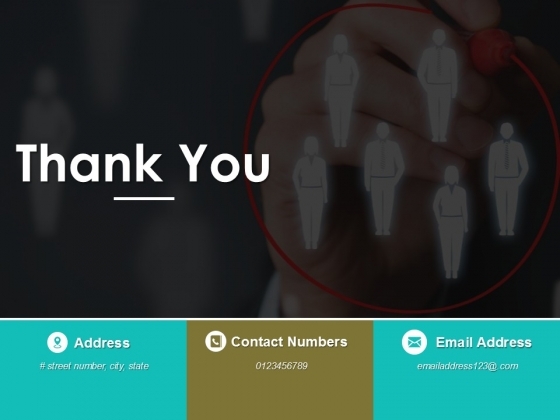 Our Thank You Ppt PowerPoint Presentation Infographic Template Templates are a good option for your fare. They add to the flavours available. This is a thank you ppt powerpoint presentation summary visual aids. This is a one stage process. The stages in this process are thank you, address, contact numbers, email address. Father them through testing times. Bear the burden with our Thank You Ppt PowerPoint Presentation Summary Visual Aids. This is a thank you ppt powerpoint presentation file master slide. This is a one stage process. The stages in this process are thank you, address, contact number, email address. 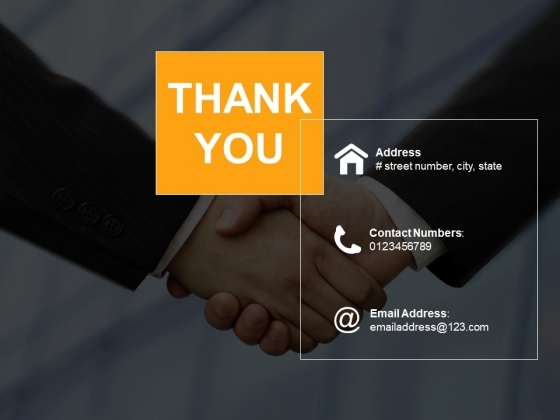 Be clear and crisp with our Thank You Ppt PowerPoint Presentation File Master Slide. All dillemas will begin to disappear.